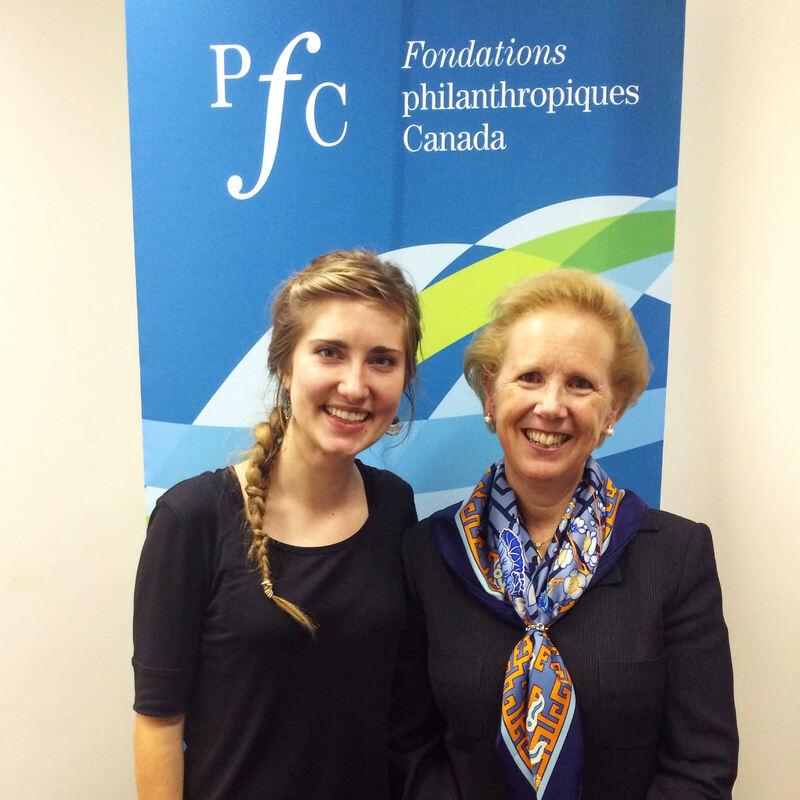 The two first met when Christina entered McGill University as a 2011 Belzberg Loran Scholar. Ms. Pearson, whose career has spanned the public, private and non-profit sectors, helped Christina make the transition from Kelowna to Montreal, reflect on her goals and discover new areas of interest. In addition, Ms. Pearson helped her identify an enterprise summer opportunity in merchandising at the headquarters of Reitmans (Canada) Ltd. While at McGill, Christina launched an ESL tutoring program at her church, provided free piano lessons to students in low-income neighbourhoods and helped facilitate French-language workshops for people with aphasia. She spent her other two summers teaching health education in northern Kenya and contributing to policy recommendations for the Jordanian Government on the Syrian refugee crisis. After Christina graduated in 2015 with a joint honours degree in linguistics and psychology, she started working on a research project for the Philanthropic Foundations of Canada.